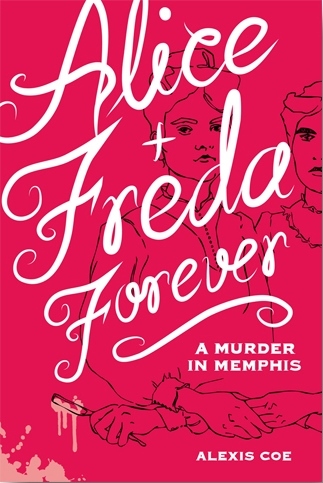 Using more than 100 illustrated love letters, maps, artifacts, historical documents, newspaper articles, courtroom proceedings and scenes, Coe recounts the real-life story of America’s 1892 teenage murderess whose motive rocked the nation. Alice Mitchell had planned to pass as a man in order to marry her fiancee Freda Ward, but when their love letters were discovered, the two girls were forbidden from ever speaking again. Upset with Freda’s easy adjustment to this announcement, 19-year old Alice slashed her throat. After a jury of “the finest men in Memphis” declared Alice insane, she was sent to an asylum, where she died under mysterious circumstances just a few years later. 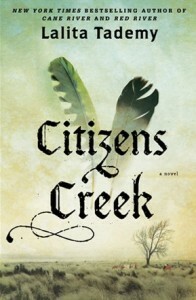 The New York Times bestselling author of the Oprah Book Club Pick Cane River delivers a new novel that displays the power of an individual’s will to make a difference by showing the parallel stories of Cow Tom and his granddaughter, Rose. Born into slavery in 1810, Cow Tom is sold to a Creek Indian Chief before the age of 10. Blessed with the gift to master languages, Tom becomes a key translator for his chief and gets hired for his talents by U.S. military generals. Can the money he earns grant him freedom? Inspired by her grandfather’s courage, Rose tries to continue his legacy as she rises to leadership amid her family’s struggle against political and societal hostility intent on keeping blacks and Indians oppressed. 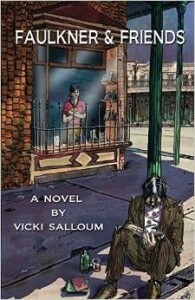 The sequel to Hiebert’s deep and graceful evocation of the American South in Dream with Little Angels begins with the release of Preacher Eli, the man who shot and killed Sylvie Carson’s baby brother. Now 22, the mother of a baby girl and still suffering from emotional problems, Sylvie is convinced the old preacher is stalking her. Leah Teal, mother of two, is the only detective in the small town of Alvin, Alabama. After initially dismissing Sylvie’s claims, she soon begins to wonder if there actually might be some danger. As the situation unravels, Leah is forced to confront her own past. 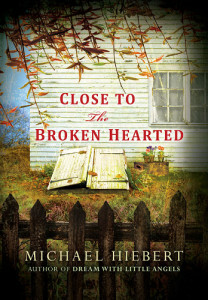 A story of justice and redemption, Hiebert reveals the danger to be not only in the secrets others keep, but in the secrets that corrupt us from within. A former creative writing major at Louisiana State University, Pitre’s tale follows the journey of a group of Marines part of a road repair platoon. When investigating a possible roadside bomb the most important numbers are five and 25. A bomb within five meters will kill everyone in the truck, and a bomb within 25 will kill all the scouts investigating the road. The platoon’s job is to assure safe passage for everyone. 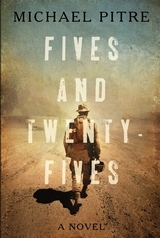 Lieutenant Donavan, isolated by his rank, leads the platoon, Doc Pleasant, who looses his pride as his friends die, is the medic, and Kateb, known to the Americans as Dodge, is the Iraqi interpreter whose love for American culture and Mark Twain is rivaled only by his disdain for their treatment of his country. Returning home, this group of Marines struggles to find a place in a world they are now unfamiliar with. Friendswood, Texas, is a small Gulf Coast town of church suppers, oil rigs on the horizon, hurricane weather and high school football games. When tragedy rears its head with an industrial leak that kills and sickens residents, it pulls on the common thread that runs through the community, intensifying everything. 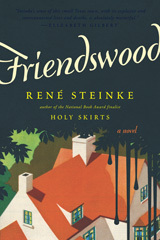 From a confused 15-year-old girl beset by visions, to a high school football star tormented by his actions, to a mother galvanized by the death of her teen daughter, to a morally bankrupt father trying to survive his mistakes, Rene Steinke explores what happens when families are trapped in the ambiguity of history’s missteps — when the actions of a few change the lives and well-being of many. Samantha Kofer is set on a fast track in her career at a huge Wall Street law firm. Then the recession hits. She gets downsized, furloughed and escorted out of the building, but she’s a “lucky” associate. For one year without pay, she can work at a legal aid clinic in Brady, Virginia, for the smallest chance she could return to her old job. Mattie Wyatt is the head of the clinic and sets out to show Samantha how to “help real people with real problems.” Samantha’s firsts: preparing a lawsuit, seeing the inside of a courtroom, being scolded by a judge and receiving threats from locals. 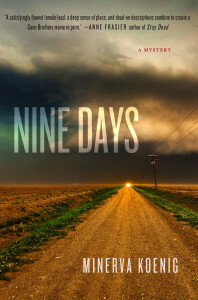 She discovers the small town hides some big secrets while delving into the world of coal mining and that violence is on its way as litigation turns deadly. Fourteen-year-old Halley Owenby and her family are managing to survive in Georgia mountain country until her father dies in an accident and her mother decides they must go live with her parents. Halley’s grandfather, Franklin, is a fundamentalist preacher who runs a strict and joyless household. A miserly tyrant, he rules with an iron fist. Halley desires more out of life than waiting for the Rapture to come. 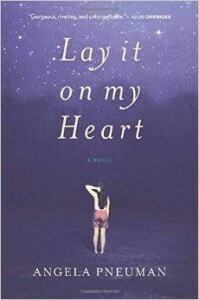 She wants an education and the choices she believes come with it, but she never suspects these dreams could actually come true in this young adult novel from NewSouth Books by a former Georgia and Alabama Author of the Year Award winner. 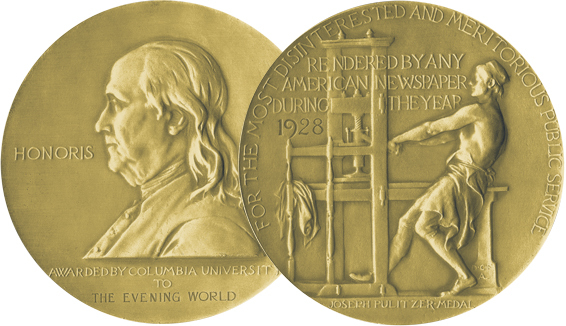 This year marks the 55th anniversary of the November 15, 1959, murders that inspired Capote — with the help of Harper Lee — to write his nonfiction novel. In the small town of Holcomb, Kansas, four brutal murders occurred in the Clutter family. The murder weapon: a shotgun held inches from their faces. The motive: no one knows. Capote recreates the tale using the murder and the following investigation that led to the capture, trial and execution of the killers in a mesmerizing story. 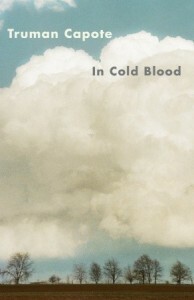 Regarded by critics as a pioneering work of the true crime genre, In Cold Blood brought Capote much praise, but he was disappointed the book failed to win the Pulitzer Prize. As a child, Lewis raised hell in Ferriday, Louisiana, and Natchez, Mississippi. His hit records include “Whole Lotta Shakin’ Goin’ On” and “Great Balls of Fire,” which added a devil’s edge to the genre. 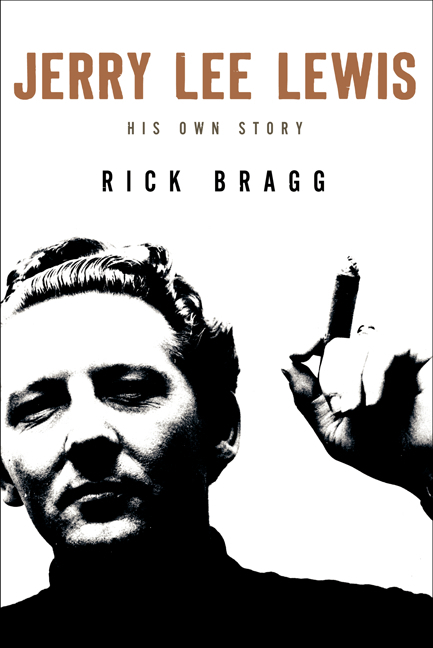 He caused riots and boycotts, married his 13-year-old cousin (the third of seven wives) and delved into a life of drugs, drinking and women. Lewis suffered two near deaths as well as the deaths of two sons and two wives. He lost everything to the IRS, except the piano he began his journey with. He has performed with the likes of Elvis Presley, Keith Richards, Bruce Springsteen and Kid Rock and is hailed as “one of the most creative and important figures in American popular culture and a paradigm of the Southern experience.” Bragg tracked down the infamous rock ‘n’ roller to bring Lewis’s untold tale back to life on the page. Charmaine Peake is 13, and this is the story of how her whole life changes in just one month. Her prophet father is committed to a psychiatric institution, her mother moves them to a trailer on the river, and a sanctimonious missionary kid now resides in her bedroom. Her father taught her to pray ceaselessly, but even God seems to have changed. Charmaine has to struggle through her choices, her faith and adolescence as she begins to accept the power that accompanies discovering and accepting your true self. “Pneuman is a master of dark comedy, and the grimmer the material, the funnier it becomes in her twisted but capable hands. 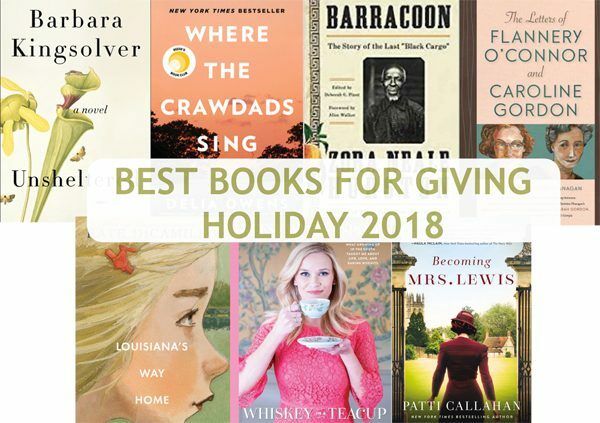 Like her literary ancestor, Flannery O’Connor, she shows how myopic allegedly religious people can be, but she doesn’t take cheap shots at religion either,” says the San Francisco Chronicle. A faithful farmer’s wife has left her husband, donned the uniform of a Union soldier and created a new name: Ash. 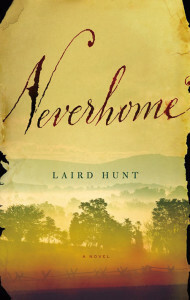 The novel tells the story of Ash Thompson’s journey through the battle for the South that is the Civil War. She transforms into a hero, a folk legend, a madwoman and a traitor to the American cause through the mix of bloodshed, hysteria and heartbreak. Ash chooses to fight rather than stay behind. Why can’t she return, and what does she have to do to make it back? “The Civil War has given us so many great literary works that I couldn’t have imagined a new fictional approach that was both stunningly original and yet utterly natural, even inevitable,” says Robert Olen Butler. Julia Kalas, short, round and pushing 40, has been renovating historic buildings as a front to aid her husband’s illegal arms business for 17 years. When the Aryan Brotherhood makes her a widow, witness protection ships her off to the middle of nowhere Azula, Texas. Julia figures she’ll pick up where she left off with the vintage architecture begging to be rehabbed, but federal watchdog and police chief Teresa Hallstedt is not happy with a new felon in her jurisdiction. Teresa places her behind the bar at the local watering hole for safekeeping. When a dead body is found on the roof, the sheriff tries to pin the murder on bar owner Hector Guerra for personal reasons. Julia is convinced he’s innocent and risks connecting with the outlaw underground to prove it. 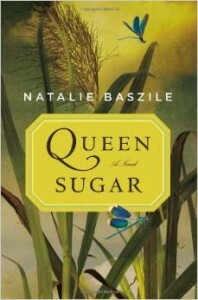 Charley Bordelon leaves her home in Los Angeles when she unexpectedly inherits her father’s 800 acres of sugarcane in South Louisiana. Arriving just in time for growing season with her daughter and high hopes, Charley seeks to grow a new life on the Gulf Coast. Unfamiliar with Southern customs and cane farming, she faces serious challenges when her farm manager abruptly leaves and her half-brother begins testing her patience. Burying her pride, Charley finds help from blood relatives and townspeople alike, who help to form a new family for her and her daughter. “A story of family and the healing power of our connections — to each other, and to the rich land beneath our feet,” says Tayari Jones. 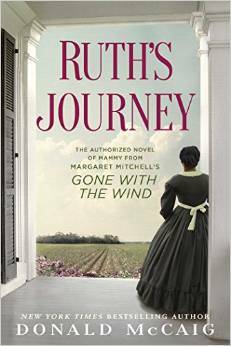 The first-ever prequel to Margaret Mitchell’s Gone With the Wind, Ruth’s Journey tells the story of supporting character Mammy from her days as a slave girl to her raising of Scarlett O’Hara. Beginning her life as the sole survivor of a senseless attack on the Caribbean island of Saint Domingue, Mammy Ruth is taken to Savannah by Henri and Solange Fournier. Although a captive, she is a proud woman who endures and loves with an astounding ferocity. Ruth’s life is shaped by the larger-than-life figures who surround her, including Jehu Glen, a free black man she falls in love with, as well as the Butler and O’Hara families. 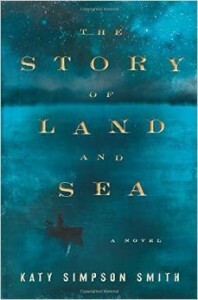 The story is set against the backdrop of the South from the 1890s to the dawn of the Civil War. 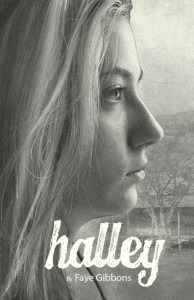 To avoid being shipped off to boarding school, teenager Malley runs away with a guy she met online. Her cousin Richard recognizes the trouble even if Malley doesn’t. He decides to take off with wild Skink, a ragged, one-eyed ex-governor of Florida, who thinks he has what it takes to track Malley down. Richard rides shotgun while the two scour the state, encountering blinding storms, crazed pigs, flying bullets and giant gators to bring Malley home. 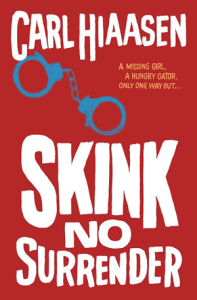 Hiaasen first introduced Skink to readers more then 25 years ago and he’s become the Florida author’s most iconic and beloved character, adding a dose of humor to Hiassen’s first book for teens. From debut novelist Martha Woodroof comes the tale of a small-town college professor, a remarkable new woman at the bookshop and a surprise 10-year old son. Tom Putnam has resigned himself to a quiet life. He spends his days browsing the Shakespeare shelves at the campus bookstore, managing the oddball faculty in his department and caring for his wife Marjory, a fragile shut-in. Things take a turn when Tom finds out he fathered a son who is heading his way on a train. His mind races at the possibility of having a family after so many years of loneliness, and it becomes clear change is coming whether Tom’s ready or not. “Optimistic, wise, and beautifully written, this book about love in all its colors, hope, and the glory of third chances will stay with you long after you close the cover,” says Joshilyn Jackson. 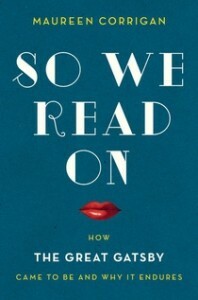 NPR book critic Maureen Corrigan investigates the endurance of F. Scott Fitzgerald’s novel The Great Gatsby. The revered classic is a rite of passage in the reading lives of many, but how well do we really now it? Gatsby lover extraordinaire, Corrigan points out that most people read the book before they are old enough to comprehend it. She dives into archives, high school classrooms and out onto the Long Island Sound to explore the novel’s hidden depths. Ultimately, Corrigan urges us to re-experience Gatsby, while giving us a story all her own. The bodies of Col. Augustine Chastaine and his wife Rebecca are discovered on the staircase of their Louisiana plantation home. The couple’s deaths are surrounded by the same mystery that clouded the colonel’s father, who committed suicide at the end of the Civil War. Locals whisper about a curse, but Sheriff Raifer Jackson declares the situation a double homicide, with local peddler Jake Gold the prime suspect. Assisted by an overzealous deputy and the racist Knights of the White Camellia, Jackson conducts a manhunt through a village of former slaves, the swamps and the bordellos of New Orleans. Jake’s chameleon-like abilities, his relations as a peddler and uncanny talent for languages keeps him ahead of the game as he races to uncover a secret at the heart of the curse. Ellen’s tiger-taming grandmother, Lola, was absorbed by the circus and got off free after killing her husband. Ellen chooses to follow in her footsteps after her husband, Wayne, almost beats her to death. She runs to the only place she knows where a woman can disappear — the same big top that use to house her grandmother. Wayne tracks the circus and Ellen, relentlessly from town-to-town, as Ellen finally learns all about her daring grandmother and the legacy that Ellen can choose to continue if she dares. 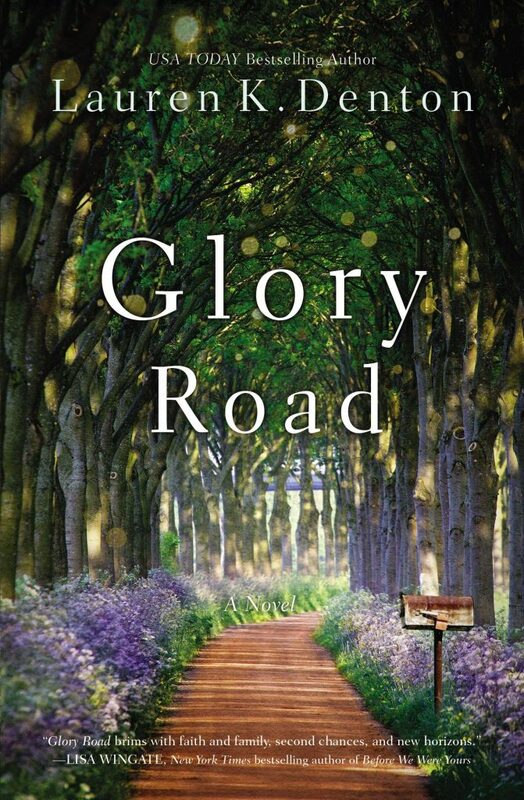 With her violent husband hot on her trail, Ellen must learn to stand up and fight for herself, to break the cycle of abuse and pass down a story of love and redemption to her children. Gia Andrews is a humanitarian aid worker who chases disasters all over the world. But the girl who can remain calm through anything finds she isn’t prepared to face her own disasters in her hometown of Rogersville, Tennessee. Sixteen years ago her father was convicted of brutally murdering her stepmother, but after two decades in prison has been released to die of cancer in his own home. Returning home to care for him, she begins to wrestle with the certainty of his guilt. Gia questions her father’s supposedly fair trial in the face of conflicting evidence and the possibility of a coerced testimony. Trying not to distract herself with local bartender Jake Foster, Gia attempts to repair her family relationships and uncover the truth about her father. 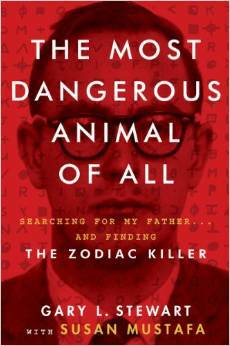 Louisiana native Gary Stewart went on a search for his biological father and ended up finding the Zodiac killer instead. His New York Times bestelling book details his decade-long hunt as he tracks his father from San Francisco to New Orleans, Baton Rouge and Mexico. 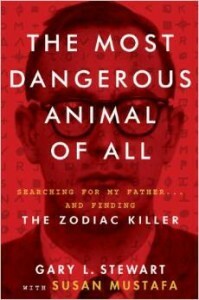 While combing through government records and news reports and talking to relatives and friends, Stewart turns up a host of clues — including forensic evidence —that conclusively identify his father as the Zodiac Killer, one of the most notorious and elusive serial murderers in history. Returning home to sell her father’s house after his death, 25-year-old Riley MacPherson uncovers family secrets that could change her life. His sudden death will not have given him a chance to clean everything up and her father’s attorney warns her against digging too deep, but Riley ignores him. 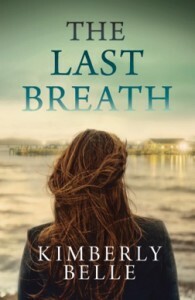 Soon she discovers the sister she always believed had committed suicide by drowning herself at age 17 is alive and living under a false identity. What made her go on the run? After discovering her sister and father have been corresponding the entire time, Riley wonders what family secrets have been hidden all along and must decide what to do with this information and what it means for her future. 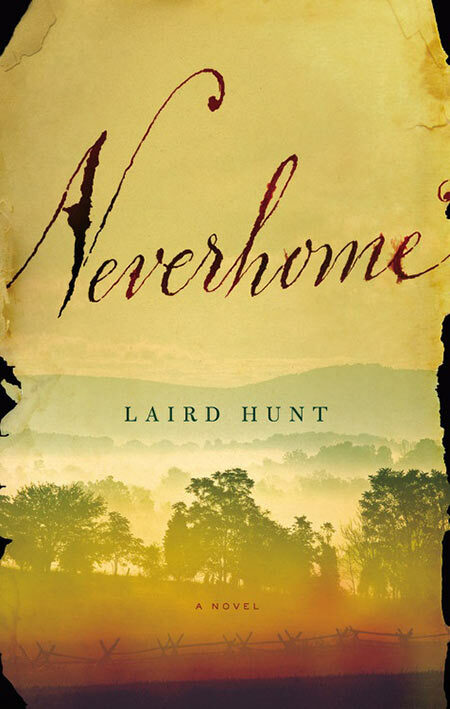 Set at the end of the American Revolution in a small coastal town in North Carolina, this novel tells the story of three generations of family who all yearn for redemption. The lives of former pirate John, his wife Helen and their daughter Tabitha, Helen’s companion and slave Moll and her son Davy are put on display. His wife gone, John returns to the sea desperately wanting to save his sick daughter just as Moll will do anything necessary to protect her son regardless of the boundaries of slavery. A tale of war, kidnapping and love, Smith captures the lonely paths we travel in the name of renewal, the hurt of lost love and the bond shared between a parent and child in her debut novel. Lane Kramer moved to Starry Point, North Carolina, five years ago certain the little island village was the place to start fresh. 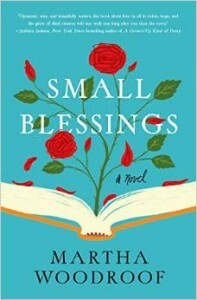 She now owns a charming seaside inn and has given up her dreams of becoming a novelist and finding love again. Then English professor Michael Forrester appears on her doorstep during a storm. He claims he only seeks a quiet place to write his book, but seems eerily familiar with the island. Meanwhile, Lane develops a surprising friendship with Mary Quinn, who appears each morning on the dunes behind the inn to stare wistfully out to sea. As Mary’s story unravels and Lane develops a relationship with Michael, Lane discovers they share a common bond. 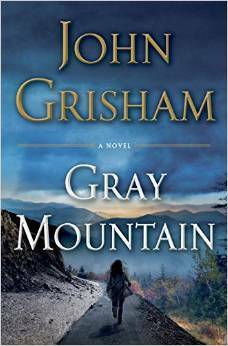 When a decades-old secret re-emerges, Lane has to choose between protecting her heart or fighting for what she wants. Julia Rich suffers from the memory of a terrible accident she caused long ago. She has been hiding her guilt by delving into the quiet routine of teaching at a small South Carolina college, avoiding close relations with family and any would-be friends. 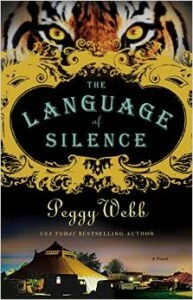 Her controlled world becomes undone when she receives a phone call from Carmen, a niece she has never met. Carmen is also seeking peace for past mistakes. Leaving the comforts of home, the two undergo a journey that will give them courage to open up their hearts and discover truth, grace, redemption and love. 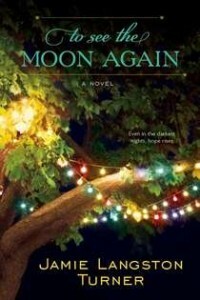 Award-winning author Jamie Langston Turner delivers a new novel about learning to forgive the past and find hope in the future. 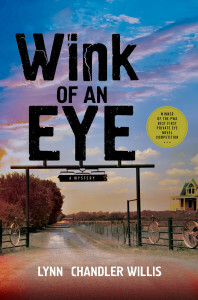 In this debut mystery by the first female winner of the Private Eye Writers of America Competition in over 10 years, Las Vegas private investigator Gypsy Moran is forced to return to his hometown while on the run from a double-cross. He shows up on his sister, Rhonda’s, doorstep in Wink, Texas. One of her former students, 12-year-old Tatum McCallen, wants to hire Gypsy to investigate his father’s alleged suicide. Tatum believes his father was murdered after he began inquiring about the disappearance of several teenage girls, all undocumented immigrants. Gypsy consents to snooping around for some information and encounters his high school sweetheart, a tempting reporter and some hostile police officers along the way. 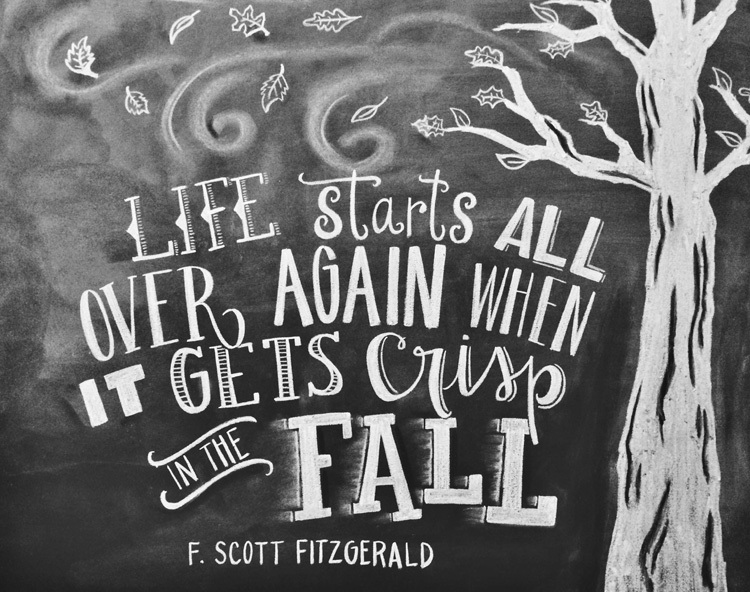 Featured Fitzgerald quote chalk art by Whitney Barnard of The Scribble Studio in Crabapple, Georgia. Thanks for the recommendations! I can’t wait to start reading. I see my Christmas wish list growing, great list! So many stories I want to get lost in. I love stories set in my home state of NC. 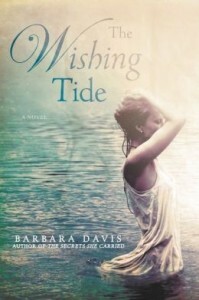 The Wishing Tide has a gorgeous cover. 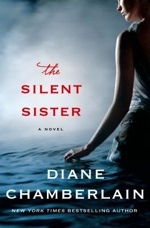 Thanks for hosting the Silent Sister Twitter chat tonight. Every time I come on here I end up spending far too much money. I love this list and have ordered six of them. Apologize to your bank account, Nicola, but this made me chuckle. Happy reading!